Problems with the opener usually cause the entire garage door to malfunction or stop working entirely. If the door is unable to properly open or close, the opener may be damaged or on the verge of failing. Keep in mind that if you continue to use the door even if you know its opener is damaged, you risk breaking many other sensitive components. In most cases, repairing or replacing these components costs a lot more than it would cost to have one of our experts repair or replace your opener. Why Sunnyvale Garage Door Services? Because we are the best in Sunnyvale, CA and we definitely know how to repair openers. We check everything from sensors and remotes to chain drive gear and sprocket assembly, and motors. If there is a problem, we will surely find it. And our solutions are the best in class. The problem will not resurface after a few weeks if you choose to work with our company. Whether one of the belts or chains is loose or another, more complex part of the opener is faulty, our technicians will provide the best solution. And you don’t have to break the bank for it! Our solutions are very competitively priced and we are sure you will be more than satisfied with the quality of our services. Free consultations and upfront price quotes are available. Furthermore, same day service is available upon request. In addition to repairing all kinds of openers (chain drive, screw drive and belt drive), we are also your best source of information if you are looking to purchase a brand new opener for your garage door. Because we work with most models daily, we can tell you everything you need to know about the various choices on the market. After you pick the perfect model, we will gladly install it for you as soon as possible. 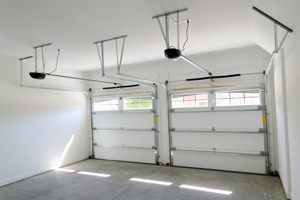 When you work with us, your garage door will work flawlessly for many years. Call us today and let’s see how we can help you!